The smaller the shop, the bigger the chance of unique, adventurous finds. 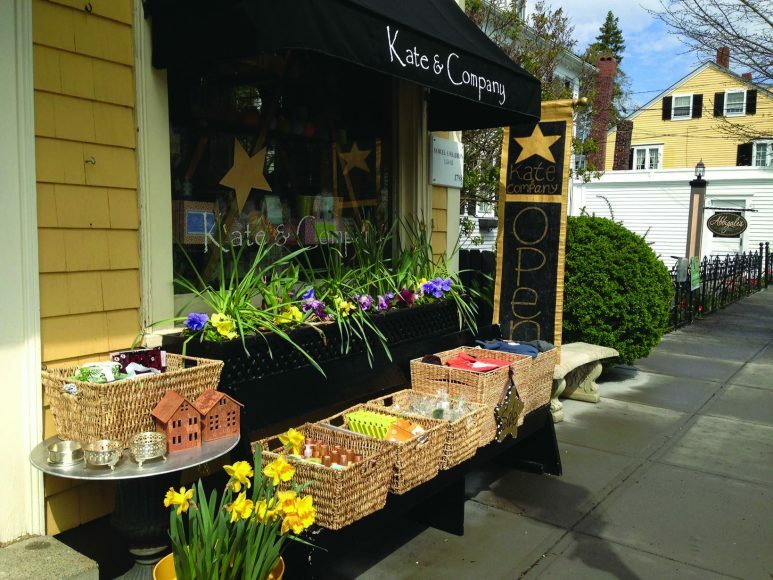 Shopping local in southern New England means more than just supporting small business; it actually benefits you, the buyer, as much as the store. 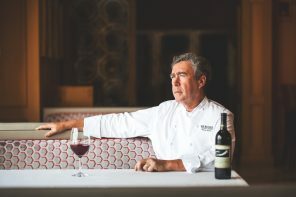 Storeowners’ creative tastes, predilection for travel, off-season buying trips and connections with local artisans result in enticing treats, many of which will never be duplicated on standard retail shelves. 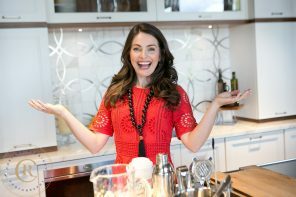 So if you’re looking for something new, something unexpected, let the good taste—and sometimes playful personalities—of the following retailers be your guide. 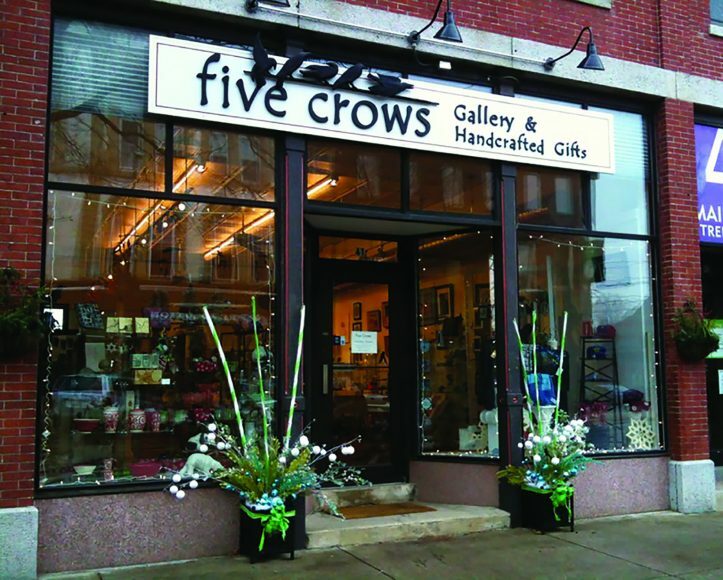 Five Crows Gallery and Handcrafted Gifts in Natick was founded with a mission: to promote the work of painters, sculptors, potters and other craftspeople. 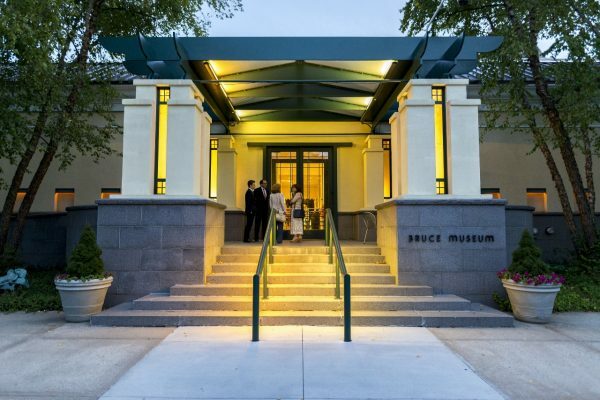 Inside, over 150 regional artists are represented through an eye-catching collection of dreamy watercolors, intricate stained glass, finely worked silver jewelry, bold steel sculptures, quilts, pottery and other creations. 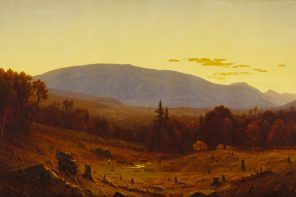 If you’re not quite ready for a big art investment, don’t worry; many gift items start at less than $25. And if you like what you see but can’t find the perfect fit, the owners, who are working artists themselves, are happy to facilitate custom orders. The carefully designed window displays and giant chalkboard wall set the tone, but the real action at Somerville’s Davis Squared—otherwise known as D2—is on the shelves (and racks, and counters). 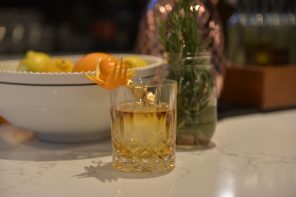 Part tradition, part whimsy, the store aims to reflect the fun and funky spirit of the neighborhood in which it is located. Soy candles and organic body lotions share space with craft cocktail syrups and temporary tattoos sporting inspiring words of wisdom. 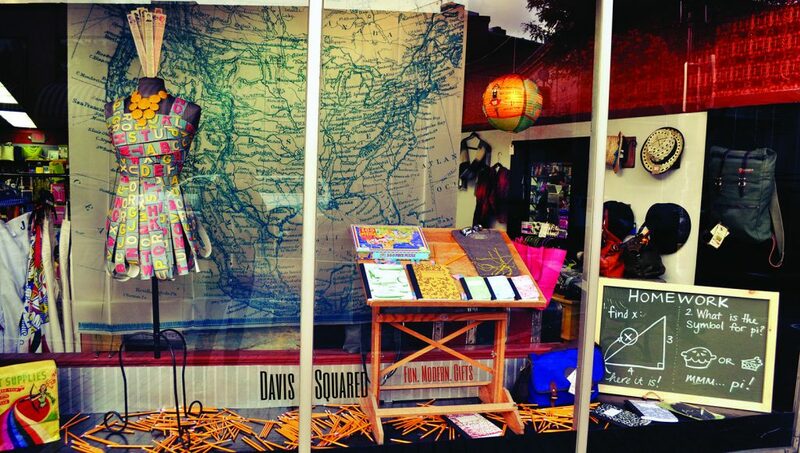 For even more browsing, check out D2’s sister store, Arlington Centered, located at 487 Mass. Ave. in its namesake city. 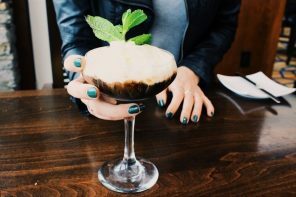 The tagline on the Olives & Grace website reads: “A curtsy to the makers.” Those few words do a pretty good job summing up the philosophy of this modest South End shop. The bright, white space is stocked with goods that celebrate bakers, soap makers, artists, writers and jewelers (just to name a few). Have a sweet tooth? Check out the store’s wall of chocolate, featuring handmade bars sweetened with honey, studded with figs or stuffed with vegan-salted caramel. Remember what it felt like to hunt for school supplies, to pick out the notebooks, folders and pencils required for a fresh academic start? Shopping at Black Ink is the grownup version of that sensation. The store’s two locations, in Beacon Hill and Harvard Square, stock writing utensils and paper, sure, but also offer up a seemingly endless range of colorful, quirky “unexpected necessities” (as they describe their wares). Think artsy calendars, animal-shaped ornaments, classic games and maybe even that perfect pencil case. 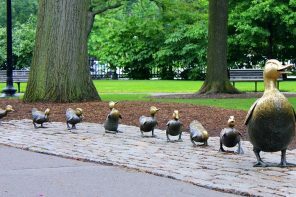 For close to 45 years, Left Bank Gallery has paired fine and functional art to create an engaging shopping experience. 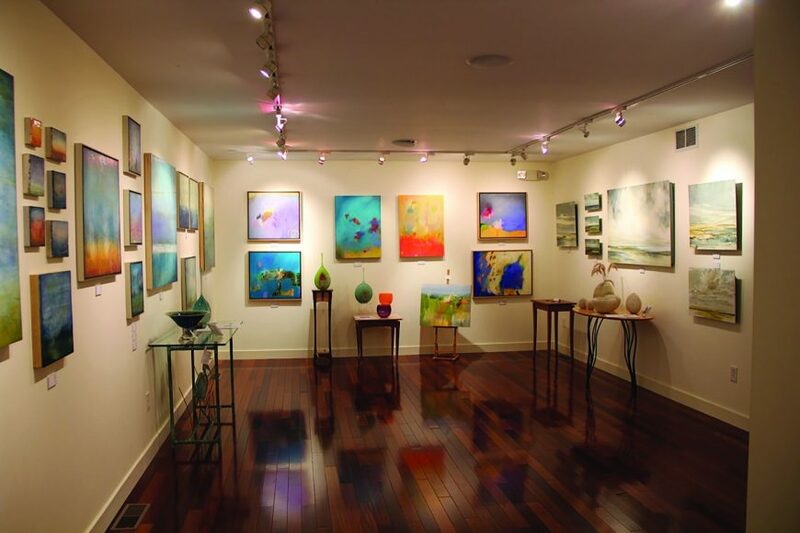 Now with three locations—two in Wellfleet and one in Orleans—Left Bank has stayed true to its gallery roots with a continually rotating collection of paintings by acclaimed artists. 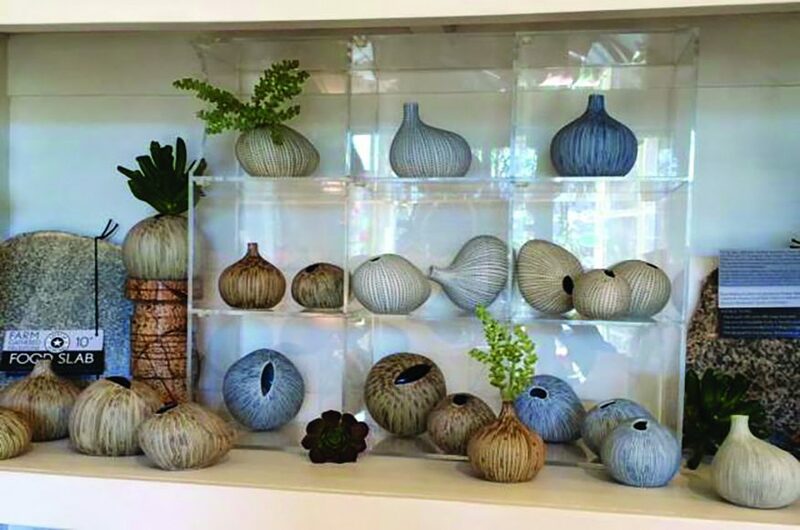 Meanwhile, art designed for actual use includes whimsical resin candleholders, hand-blown glass bowls, ceramic tableware, maple cutting boards, one-of-a-kind lamps and much more. For those who prefer fashion over homemaking, there’s even wearable art such as scarves, handbags and jewelry. The Spotted Cod is all about color. 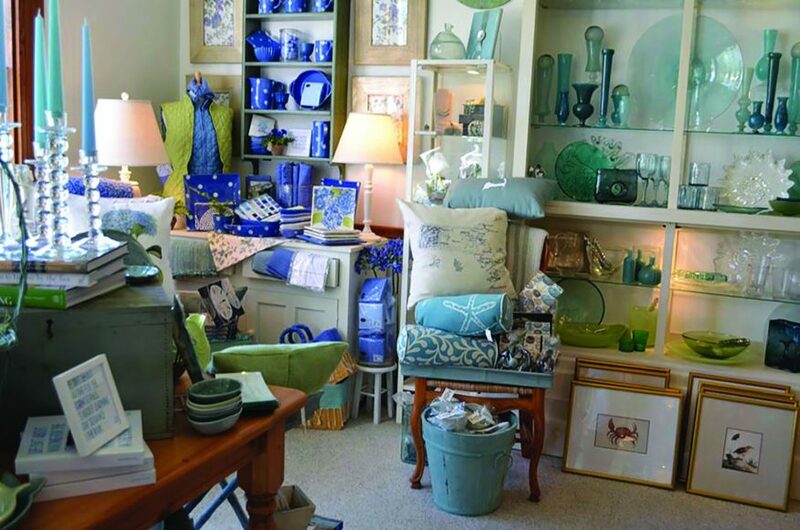 With coastal-inspired gifts and accessories organized by hue, this retail charmer, sited in the heart of historic Sandwich, lets shoppers surround themselves with coral or bathe themselves in blue. 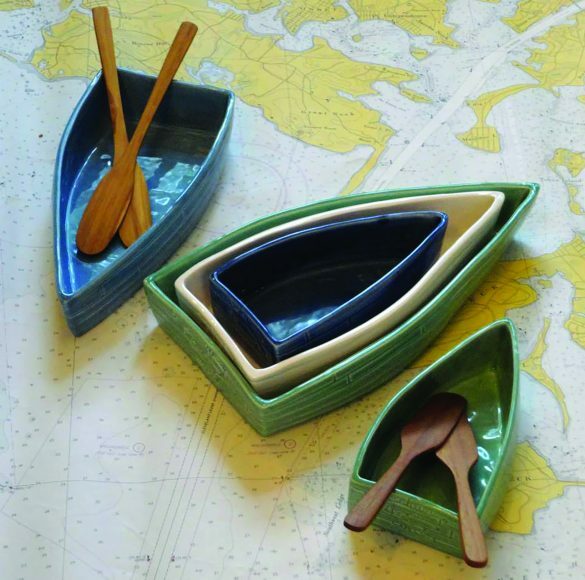 Look out for rowboat-shaped ceramics, totes decorated with local maps and playful polka-dotted kitchenwares. 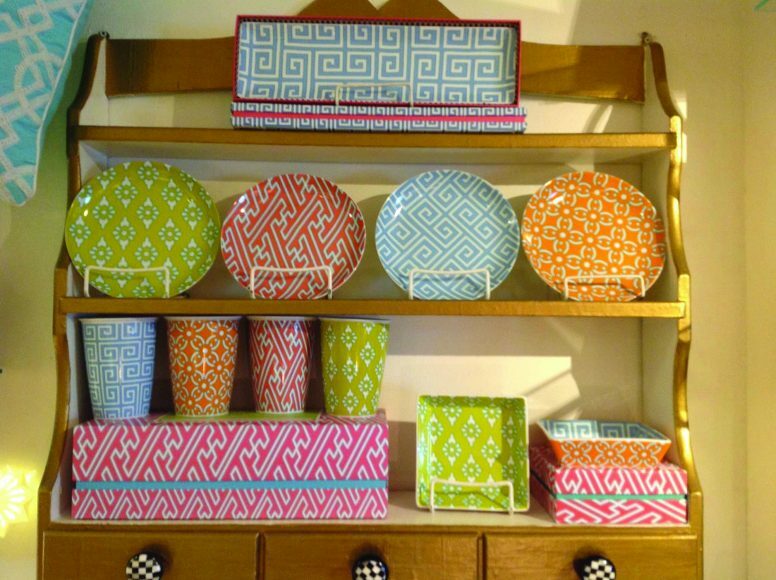 Storage baskets, accent pillows, linens, tableware, glassware and furniture items are all display mainstays, as is lovely jewelry you won’t find elsewhere. 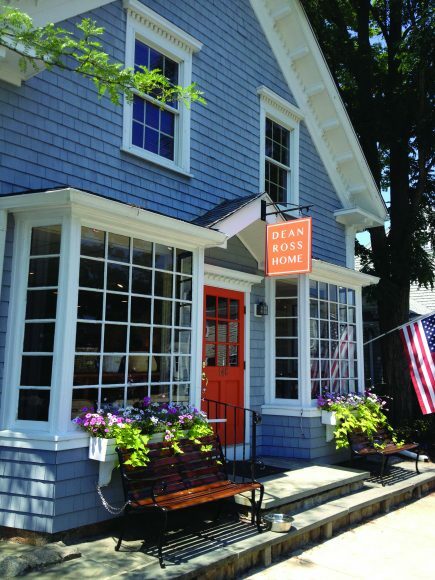 Mosees in Barnstable Village is like Etsy in tangible form. It promises shoppers a selection of handmade treasures and makes good on that pledge at every turn. 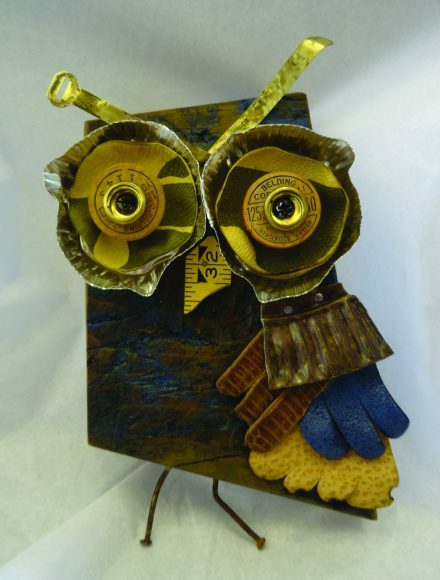 A testament to Cape Cod’s vibrant arts community, it is stocked with intriguing, unusual items, many of which are derived from recycled materials. Sailcloth totes, hydrangea clogs, floral cuff bracelets, organic cotton clothing, handpainted wallets and small-batch stationery are all present. Children’s clothing and toys round out the offerings. Brightly hued journals, cozy wool socks, playful glass nightlights, patterned cotton dishtowels and adorable Christmas ornaments are just the start. 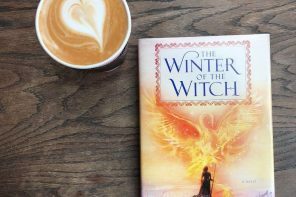 There truly is something for everyone at Twigs in downtown Falmouth, and searching through the shop’s charming, densely packed displays is half the fun. Its jewelry collection, in particular, is full of beautiful and unusual pieces: butterfly-wing pendants, colorful gemstone earrings, statement cocktail rings, beaded fair-trade necklaces and more. 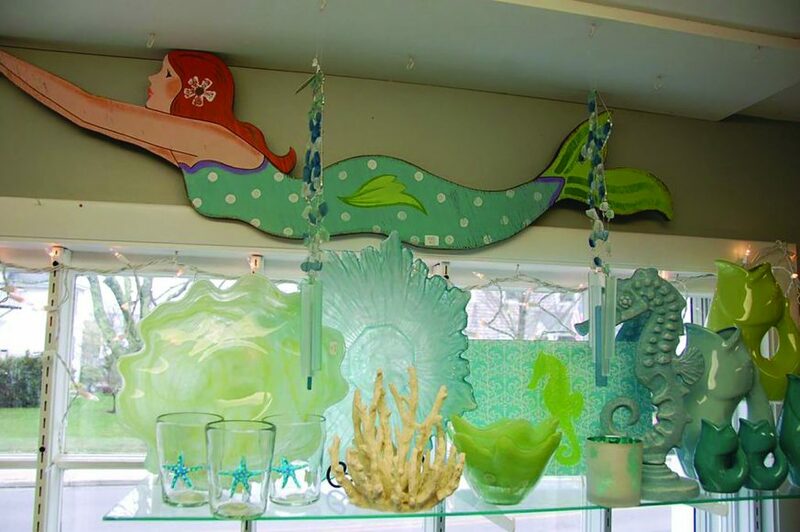 Situated in the heart of Marion, just a block away from Sippican Harbor, Serendipity by the Sea is a shopper’s haven. 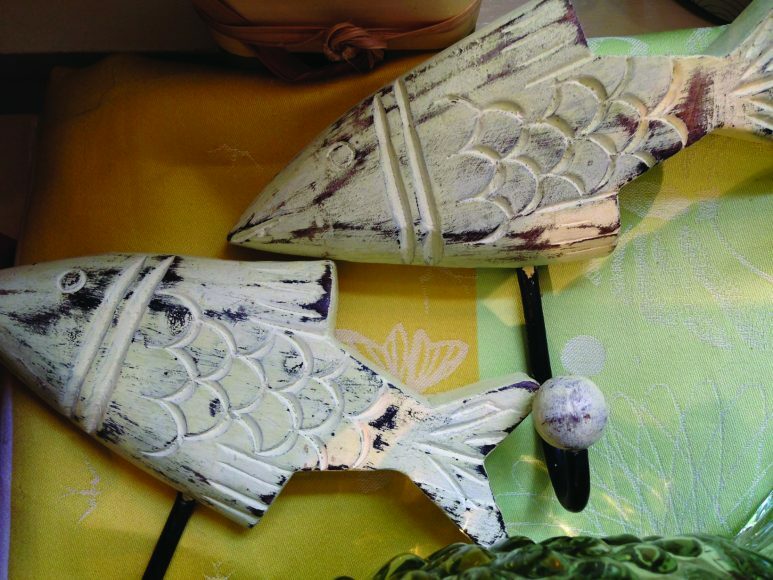 Not surprisingly, many of its “catches” are ocean themed: shell- and fish-shaped serving pieces, nautically inspired bracelets and tote bags with preppy stripes. Fashionistas can lose themselves in the racks of dresses, sweaters and scarves before browsing through Serendipity’s newly added Vineyard Vines accessories. Locals as well as devoted summer visitors might want to check out its popular line of necklaces and bracelets featuring nearby towns’ latitude and longitude coordinates. 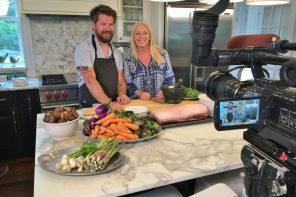 The town of Marion’s latest addition, two-year-old Dean Ross Home, is no less than an inspiring tour through the possibilities of casual entertaining. Glassware, linens, cutting boards, wine accessories and original artwork all play together nicely in its well-tended displays. 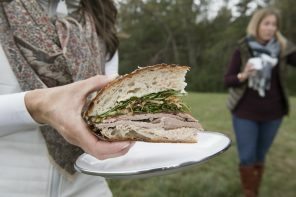 Keep a sharp eye out for pieces made exclusively for the store by local artisans, and when the shopping high is complete, mosey over to Kate’s Simple Eats, an attached café that specializes in simple, fresh food, particularly gourmet sandwiches, salads and soup. With 135 years of history behind it, the Welch Company has shown some serious staying power. 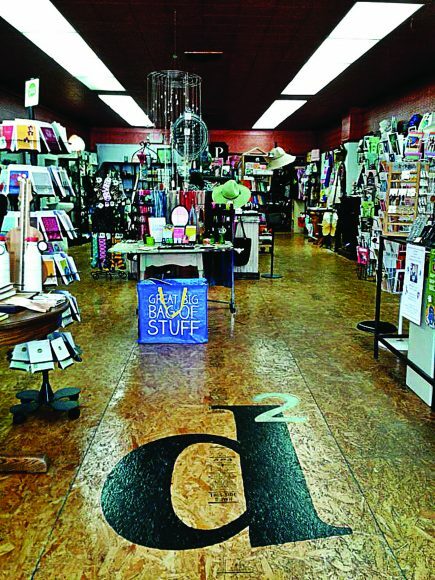 When the business was first founded in 1879, it was a general store; since then, it has evolved into an upscale gift and home furnishings shop. 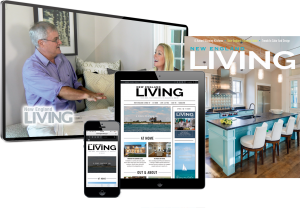 With a constant influx of items from popular lines such as Mariposa, Dash and Albert, Pine Cone Hill and Bella Notte Linens, this Scituate fixture specializes in the casual, relaxed aesthetic of seaside living. Carefully curated displays showcase crisp bed linens, trendy accent pillows, lighting fixtures, statement mirrors and tableware with smaller keepsakes such as silver frames, sea glass jewelry and breezy beachwear. 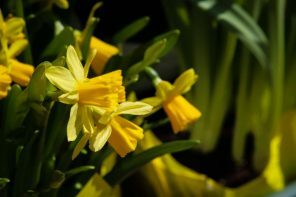 As its name suggests, Flora began life as a floral shop in the historic village of Padanaram in South Dartmouth. During the 15 years since, it has bloomed into a pair of complementary boutiques. Try Flora Style for distinctive outerwear, well-crafted basics, fragrances and bold statement jewelry. Shop Flora Home for tabletop delights, modern home accents, Fermob bistro furniture and indoor/outdoor rugs and mats. An inspired children’s corner, complete with books and toys, keeps everyone young at heart. In historic East Greenwich, The Green Door sources gifts from far away and close to home. 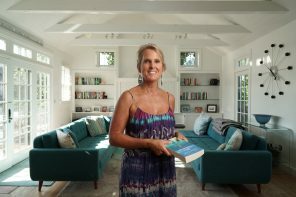 It’s one of the region’s largest retailers of handpainted, gilt-embellished porcelain from Hungarian designer Herend, but it also takes pride in stocking an extensive selection of Rhode Island-made products, including coasters, pillows and custom silk floral arrangements created by owner Susan Swanson. Rounding out The Green Door’s enticements are traditional Simon Pearce vases and candleholders, enameled serving pieces by Julia Knight and “aww”-worthy baby gifts. Need help coordinating your finds? Swanson also provides interior design services. Planning to decorate—or redecorate—your home? 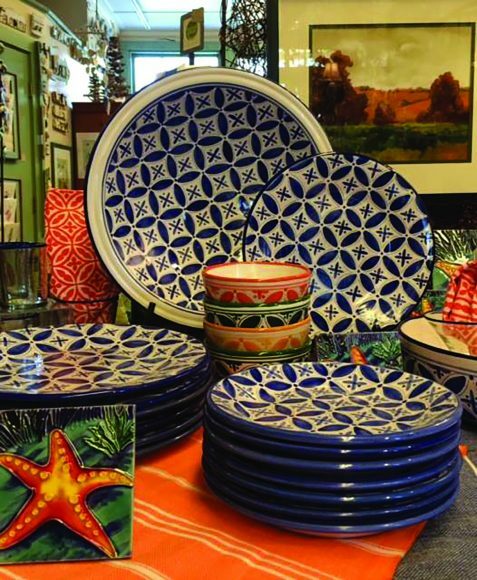 Lou Lou’s Décor is your go-to resource. 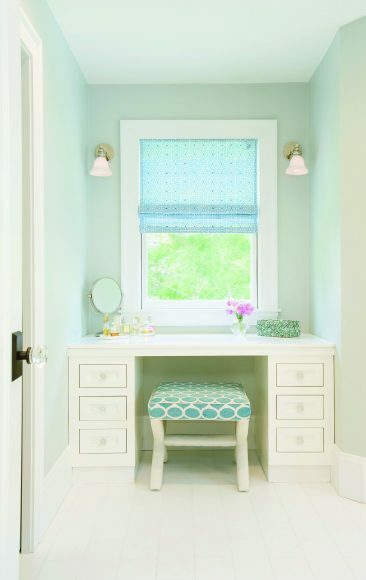 This home-makeover destination specializes in traditional coastal elegance but the lines, colors, textures and patterns of its products are always distinctive, never boring. 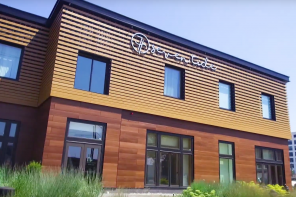 Its Portsmouth showroom features beautifully styled home furnishings as well as an in-house design center that can tackle any need, from tile and stone selection to window treatments and upholstery services. Lou Lou’s trade connections promise direct access to a variety of top brands, including Lee Industries, Scalamandré, Bungalow 5, Roost, Pine Cone Hill, Matouk and more. 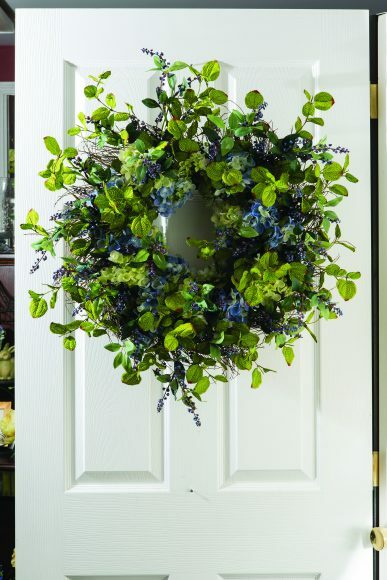 But don’t forget the little things, such as accessories, holiday décor, gifts and children’s items. Kate & Co. has the items you need to make your home, and yourself, cute, cozy, comfortable and comment-worthy. Mercury glass votives, luxurious scarves, trendy table linens and beaded, sparkly baubles all compete for attention. 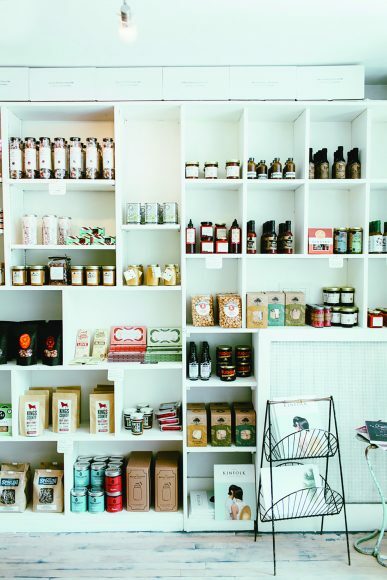 And foodies will appreciate this petite store’s fondness for stocking cookies, jams, sauces and snacks. Whether you are looking for vintage or new, rustic or glam, Cory Farms Past & Presents is sure to have something to suit your fancy. 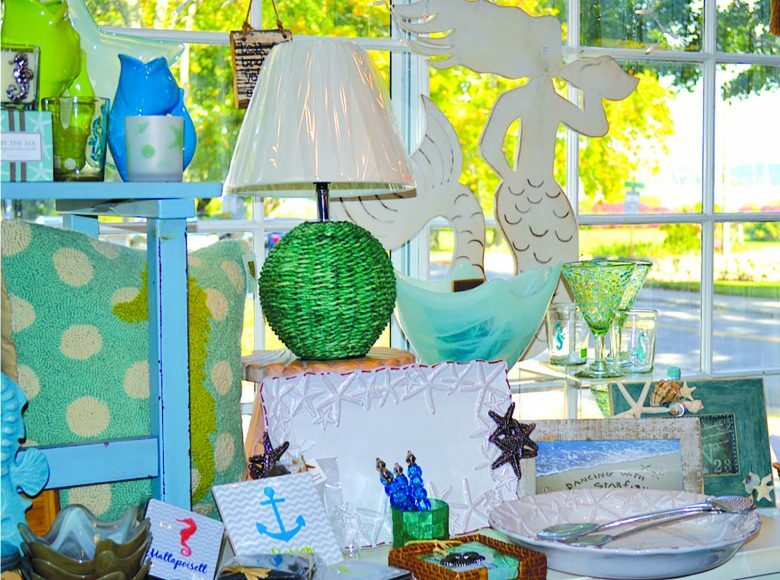 Located in a beautifully renovated 1849 farmhouse in seaside Portsmouth, the four-year-old shop is part antique store, part gift boutique, and 100 percent eclectic charm. 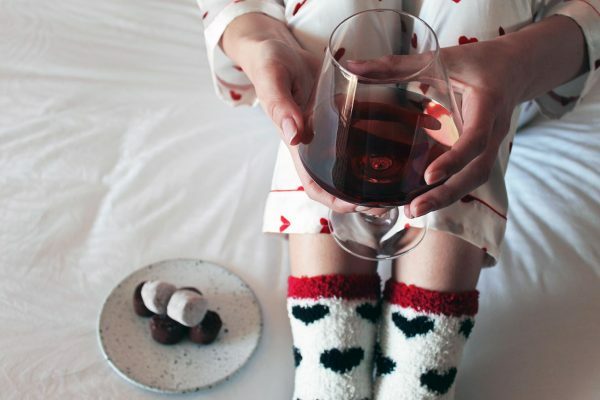 It stocks out-of-the-ordinary gifts from the U.S. and Europe like translucent glass candlesticks, playful felt slippers and intricately patterned serving trays. Looking for collectibles with a bit more history? A recently renovated barn on the property houses a gallery dedicated to higher-end antiques. 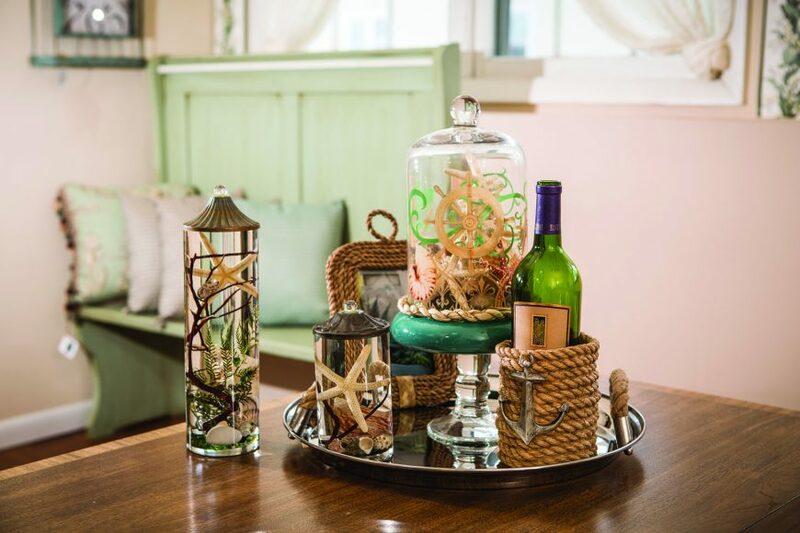 From cheese knives to place settings to attention-grabbing chandeliers, anything you need for glamorous home entertaining can be found at The Hopscotch Room in North Providence. Transformative furniture items include carved wooden bars, recliners, accent and dining tables, statement lamps and framed wall mirrors. If accessorizing is more your speed, set aside a generous time window to peruse dishware, cocktail accoutrements, linens, clocks and weathervanes. 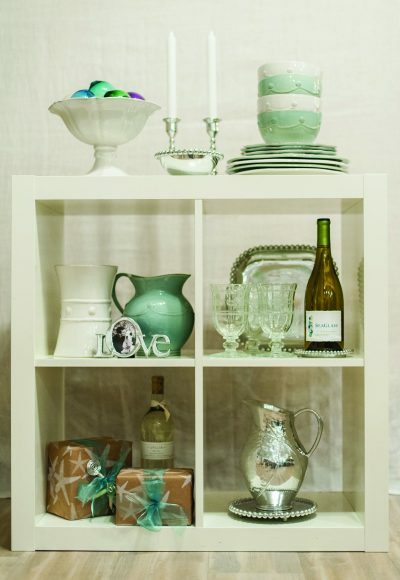 Or, if decorating is not your strong suit, gather design inspiration from the shop’s expertly styled displays. Delight your senses with the beautiful, the unique and the curious at The French Hen in Essex, which prides itself on a creative approach to gifts and accessories. Any girl will love its fragrances, lotions and potions, not to mention the bath fizzers shaped like French macarons, dishes with funky geometric patterns, quirky greeting cards and more. If you’re feeling particularly daring, check out its line of temporary metallic armband tattoos.